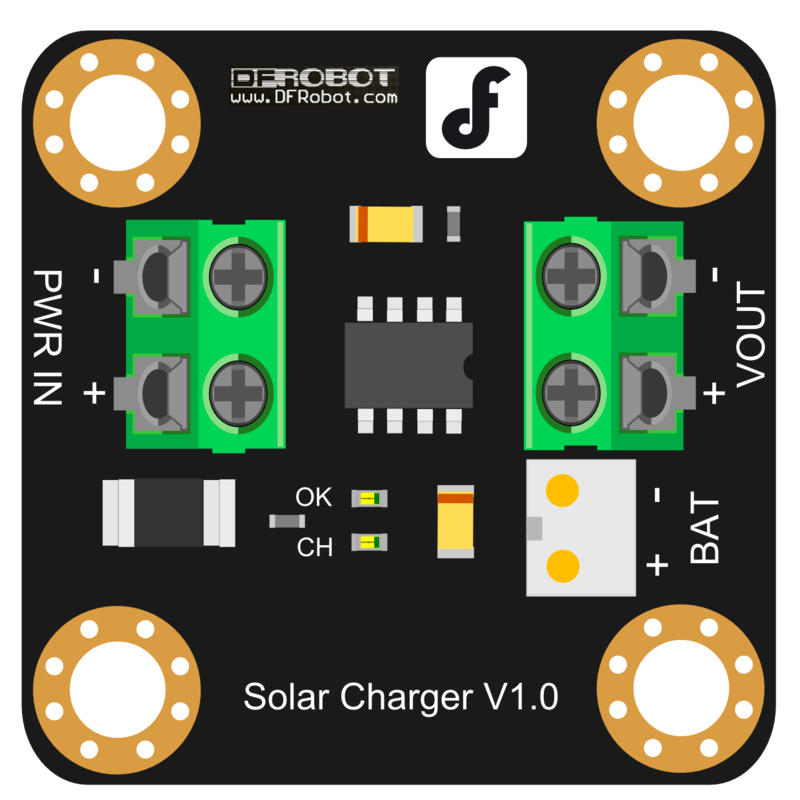 This solar charger is designed for single lithium battery (3.7V) for intelligent charging, with input reverse polarity protection. The maximum charging current is 500 milliamperes and the connection is simple and convenient. Used with the solar battery and lithium battery, you can quickly build a solar power system. PWR IN:4.4~6V power input terminal. You should connect it to a solar battery. The maximum output voltage of the solar battery should be in the range of 4.4V to 6V. BAT: Connect a 3.7V lithium battery, for storing electricity. VOUT: Lithium-ion battery output. Connect your electrical equipment to it. Charging Indicator: When there are no battery, the green LED is ON and the red LED is flashing. When charging, only the red LED is ON. After the charging is completed, only the green LED is ON.